This course has everything that makes golf such an attractive game. It has a great location in the Vall de la Valldigna, and is only a few minutes from the beach. This is a protected area of nature, where there are no residential buildings, and features spectacular scenery and stunning views. The course is immaculately maintained down to the tiniest detail, and the sheer quality to be found at La Galiana has become a point of reference for golfers all over Europe. 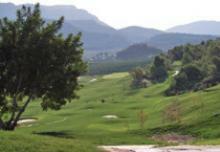 Unlike clubs where members have preferential playing rights, La Galiana is open to everyone, seven days a week. The course also has a golf school that uses the latest technology to help learners acquire their skills quickly and easily, making real progress from one lesson to the next. Children of all ages are also welcome at La Galiana, with courses offered to encourage children to take up this healthy sport. 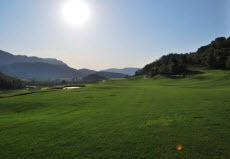 The 300-metre-long practice range includes natural grass areas and sections with artificial grass for beginners. Company sessions or the Golf Clinic, which involves a one-day lesson and a tournament, are two great ways to try out this sport in the company of relatives, friends and colleagues. From Valencia. Take the Autopista A-7 towards Alicante-Albacete, then take exit 872 (CV-50 L'Alcúdia Centro-Carlet-Alzira) and head for Alzira-Tabernes de Valldigna. When you reach Alzira, follow the same CV-50 heading for Tabernes de Valldigna. Go through la Barraca de Aigües Vives, and a kilometre further ahead you will see a sign for La Galiana Campo de Golf on the right. From Alicante. Take the AP-7 towards Valencia, then take exit 60 (Gandia-Xeresa-Tabernes de Valldigna). Join the N-332 heading for Tabernes de Valldigna, then take the CV-50 heading for Alzira. Follow the CV-50 heading for Alzira, and five kilometres further ahead you will see a sign for La Galiana Campo de Golf on the left.